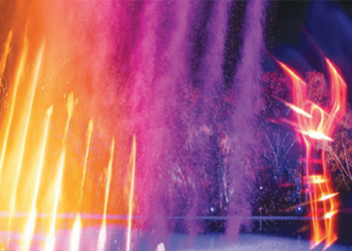 Set on the banks of the Little Murray River, the world-class Heartbeat of the Murray is a 360-degree multi-media spectacular unlike anything ever seen in Australia. *This show contains strobe lighting which may trigger seizures in some people with epilepsy. You can see, feel and hear our enormous steam engine, affectionately known as Black Bess, trundling around the Pioneer Settlement. Built in 1920 in the UK, and weighing an enormous 28 tonnes, she was once paired with a similar machine to clear and drain swampy, bush covered land. She was even used to pull up large Mallee roots to make way for farming. She was retired in 1946 and has spent many years at the Pioneer Settlement since. Most recently, she was restored over a six year period, coming back to life at the Settlement in 2014. Bakeries have long been an important institution in small towns, and in the Mallee it was no different. They were often the first business to be set up and would sometimes allow settlers to bake their own bread. They even had travelling carts to sell their wares. Of course, early Mallee bakers also faced a number of unique problems, including unpredictable water supply, weather and flour quality. This didn’t stop the pioneering spirit of the Long family, who ran their Swan Hill bakery from 1874 until the early 1900s. Thomas Long started the store, but died just two years later. Amazingly, his wife Elspeth kept the bakery going at the same time as raising the couple’s children — two-year-old Jimmy and baby Susan. When Jimmy was old enough he took over the bakery until the family moved to Melbourne around 1913. 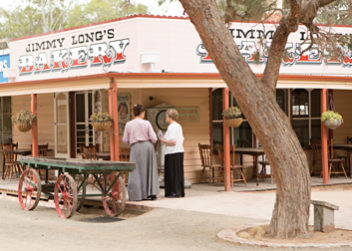 Jimmy Long’s at The Pioneer Settlement was set up as a tribute to this stoic Mallee family and was once a working bakery too. Now in the bakery, you can also see our 19th Century commercial aerated water machine and old fashioned wood-fired oven. Fancy a humbug or a licorice block? What about a raspberry drop or lemon sherbet? 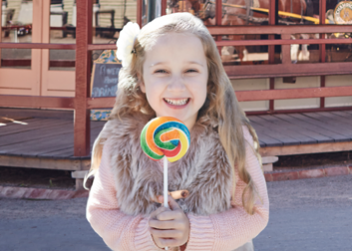 Well the Pioneer Settlement General Store and Lolly Shop is the perfect place to find it. Visit Christine in her traditional corner store, check out the historic grocery items on display – everything from Sao biscuit and Bushells tea tins to historic grocery store signage. You’re sure to find something that jogs a memory or two. The new Paragon Café is the perfect place for lunch or a snack, and offers wonderful views of the main street and river. Home-style meals, traditional drinks like milkshakes and spiders as well as delicious coffee are all on the menu. Volunteers from the Friends of the Pioneer Settlement operate the café and all profits are used locally to support the Settlement’s ongoing development. The café is housed in the original Dumosa Towaninnie Hall, which was re-located to the Pioneer Settlement. In 2015, the building was redeveloped to create The Paragon Café. 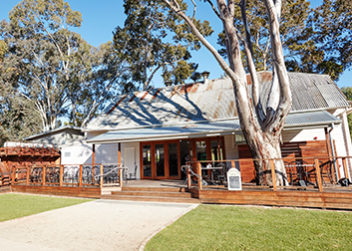 The new café is named after ‘The Paragon’, a famous establishment from Swan Hill’s past which holds a special place in the hearts and memories of all who went there. Step back to a time before television, mobile phones and emails. A time when the newspaper was the prime source of information, when printed posters kept people informed of the latest events and when radio and television were the stuff of fantasy and far into the future. You can also have your name printed on a 19th Century wanted poster – a great keepsake from your visit to the Pioneer Settlement. The Pioneer Settlement’s Echo Print Shop was relocated to Horseshoe Bend from Newstead. It is a fully functional print shop and is regularly used to print posters and tickets using the original Chandler and Price treadle press. 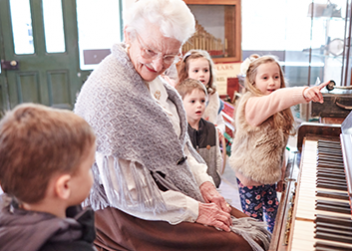 Tunes of old can be heard coming from the Settlement’s main street every day as volunteers bring to life the 19th Century Pianola player piano. It harks back to a time when pioneering settlers had to provide their own entertainment, and a time when every boy and girl learnt a party piece for those ‘at home’ occasions. Many homes had a piano, or other musical instrument like the American Organs in the music shop. Family members would play the accordion, the melodeon or even the simple tin whistle. Player pianos and Pianolas, like the one at the Settlement, meant that even those with no talent could simply pump the machine while a card punched with holes controlled the music that was played. 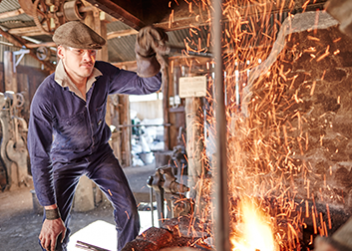 Feel the heat as our blacksmith operates the forge, using fire and physical strength to create just about anything that can be made from iron. Using a bellows, forge, hammer and anvil, the blacksmith made a wide variety of tools and implements, household goods and parts for horse drawn vehicles, as well as repairing agricultural machinery. To simply shape, or ‘forge’, the iron it needed to be red hot, a temperature of around 800º C, but to weld to pieces together it had to be white hot, which happens about 1400º C. This makes the blacksmith’s shop a wonderful place to work in winter and quite the hot spot during a warm mallee summer. The Pioneer Settlement blacksmith shop was originally built in 1896. Thomas Thomson of Lalbert once worked from the ‘rough and ready’ building. Like many others, Thomson was also a farrier who could make a horseshoe and then fit it to your horse as you waited. He could make and fit a set of four horseshoes in about an hour and a half, while you did your monthly shopping at the General Store. If you visit on the weekend, call in and see our volunteers at the Woodturners as they carry on the pioneering art of woodturning. While most Mallee settlers made do with whatever they could make at home from collected timber, every little town also had a carpenters shop. There, settlers could buy special furniture, pieces of turned timber to dress up their own creations, or hardware like nails, hinges and latches. 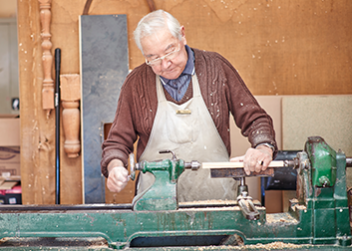 The Pioneer Settlement Woodturners is used most weekends by our volunteer woodturner to create small turned wood objects that you can take home as your own special keepsake. One of the most popular places to visit at the Pioneer Settlement is the photo parlour. Dress up in period costume and have your photo taken, all for $5. The best thing is you can use your own camera or smartphone and take as many photos as you like. Capturing family fun from your visit to the Pioneer Settlement. See the world through the eyes of a pioneer by visiting the Kaiser Stereoscopic Theatre. Built in Germany in 1895, the theatre offered people an otherwise impossible view of the world, featuring everything from trips around the world, to battlefield scenes or even images taken at major world events such as coronations, funerals or great disasters like the San Francisco earthquake of 1906. Up to 25 people could sit at the theatre and watch the changing pictures through individual eyepieces. Today, our theatre is one of only a handful in the world, and the only one that runs all day, every day. So step inside our Mechanics Institute and see the world through the eyes of a pioneer. Being in the Victorian Mallee, it probably comes as no surprise that many items in our historic collection relate to farming. You will see some of the earliest and more unusual examples of Australian strippers, headers, tractors and ploughs, many of them being the only examples left anywhere in the world. We have an amazing 22 historic tractors on site. This includes our internationally recognised collection of steel wheel tractors, dating from the turn of the 20th Century to the start of World War II. Restored and maintained by our Technical Curator, most of these tractors are drivable. Look out for one of our many volunteers driving the tractors around the Pioneer Settlement when you next visit, or call in and have a chat to them in the Restoration Workshop. 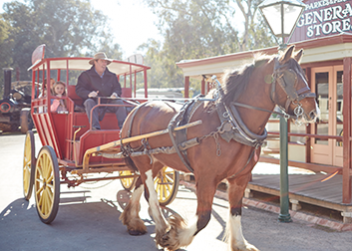 Cobb and Co is a name synonymous with Australian history, and at the Pioneer Settlement you can see one of the original Cobb and Co coaches on display. The coach sits in our replica Cobb and Co Coach House, along with other horse drawn vehicles like our Sociable Buggy, our Barouche and our Horse Break. Other beautiful horse drawn vehicles can be found around the site too. While you’re visiting the coach house, you can pop next door to the old-fashioned post office and experience a time when letters and the telegraph were central to communicating over distance. Post a letter or postcard in the old fashioned post box, which is cleared daily. Of course you can experience a ride on a horse-drawn carriage every day at the Pioneer Settlement, with rides included with entry. If only the Paddle Steamer Gem could talk. This beautiful paddle-steamer has had a colourful and sometimes chequered history of work, travel and now restoration. Known as the Queen of the Murray, she was built in Moama in 1876. By 1882 she was taken to Goolwa to be upgraded for passenger service. Once there she was beached, sawn in half by hand, and the two parts pulled apart by bullocks to allow an extra section to be inserted. Once in service, the Gem’s lower deck was used for cargo, the engine, the dining room and galley; the middle deck for passenger accommodation; and the top deck for the wheelhouse and the crew. The Gem also had a smoking room on the upper deck for men and a music room for ladies on the middle deck. The Pioneer Settlement purchased the steamer in 1962. It was expected to take just 10 days to tow her behind the PS Oscar W from Goolwa to Swan Hill, but low river levels left the Gem and her crew stranded for long periods. It eventually took eight months to make the journey. Today, the PS Gem is undergoing a progressive restoration. Most recently she was surrounded by a new timber deck with picturesque gazebo. You can wander around all three decks and get just a glimpse into what she was like in her heyday. Until the coming of electricity and the internal combustion engine, in the early part of the twentieth century, steam was the main source of power for industry. The 1913 wood fired steam boiler and steam engine in the Pioneer Settlement’s steam workshop can be used to provide power for the wide range of engineering equipment on display, all of which is fully functional. The steam boiler is run regularly during the cooler months, but during summer the fire hazard means that we run it less frequently. When maintenance is needed on one of our larger wooden vehicles, this workshop is used to make large wooden parts, like wheel centres, on the big flat-plate bed lathe.